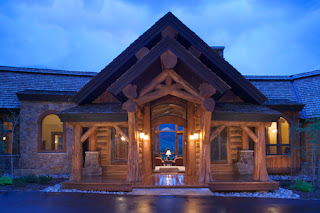 Log Home Info: What is The Best Wood for Building A Log House? What is The Best Wood for Building A Log House? Sitka Log Homes is located in beautiful British Columbia, Canada where there is an abundance of natural beauty and a tremendous variety of forest. We are able to acquire our wood from sources within 150 km's from our facility, therefore reducing emissions caused by long hauling. There are four wood species that we use when building our log homes or timber frame homes. 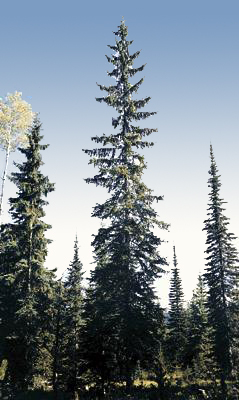 Engelmann Spruce logs tend to be whiter than the other species available. It is very uniform, has a limited amount of knots and is very clean looking. However, it also tends to have larger "checks" (cracks) in the logs when the logs finish settling and drying. This is not a structural issue, but an aesthetic one. Spruce dries easily and is very stable. It is moderately strong, stiff and tough, is soft and easily worked and stained. Only slightly decay resistant and good in dry climates. 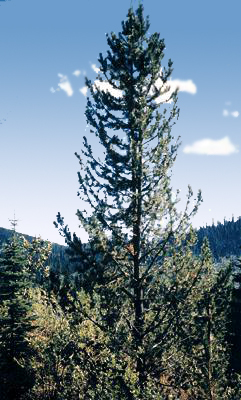 Lodgepole Pine logs tend to have many knots, more "natural" scarring such as cat faces and crevices, and has some blue and gray streaks in it. It is generally referred to as more "rustic" looking with more "character", however, that should be qualified by saying that we have had pine log work in some of the most contemporary homes we have built. A beautiful wood, soft, it is stable and resistant to checking in dry climates, and it’s easy to stain. Douglas Fir logs are very uniform, have very few knots and a light "orange" hue to the cambium (outside) layer of the wood with a deep orange/red heartwood color. Commonly used for long beams and trusses where strength is of concern. It is the strongest of the species available, but really does not offer anything extraordinarily above the others. Douglas Fir is relatively decay resistant, and accepts stain moderately well. Western Red Cedar has great value in being naturally more resistant to moisture, that said however, if a log home is properly finished and maintained it will last just as long as a cedar log home. Cedar is darker in colour and is also softer tending to dent more easily. Cedar has that amazing scent (think of a cedar chest) that will also accompany it. We often use cedar for large feature posts and leave some of the flared trunk on the bottom. It is a beautiful and often stunning feature in many homes. 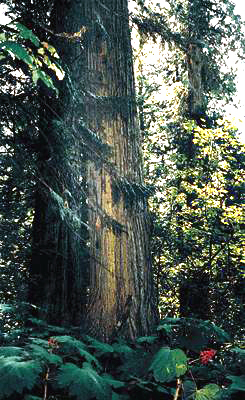 Note: Western red cedar is British Columbia's official tree. 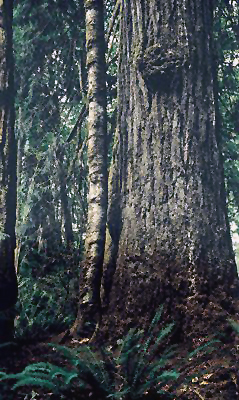 Western red cedar has been called "the cornerstone of Northwest Coast aboriginal culture," and has great spiritual significance. Coastal people used all parts of the tree. Home built with more than one timber choice. Occasionally log homes have a variety of wood used within. The main walls may be pine, the ridges may be fir and then they may have a cedar post as a feature accent log. We, at Wood House Log Homes, use Pacific Northwest wood exclusively, primarily ES/LP for wall logs and Doug fir for structural components, in spite of the fact that our largest market is in the Eastern half of the US. We prefer Western wood because of the preponderance of "Premium" and "Select" grades available, low moisture content and stability of the species and long term performance in use, aesthetics of the finished product, and availability of standing dead (although it's a little tighter recently), and cost. Our customers are keenly aware of the value of dry wood used in constructing their homes. Thanks for posting these. 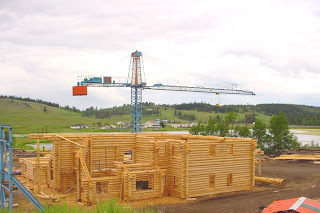 I never knew that these trees are being used to build log homes. I have another type of logs in mind.